We got the chance to put some questions to Mathias Wiese, the Founder & Art Director of free to play aerial armada MMO Dreadnought. 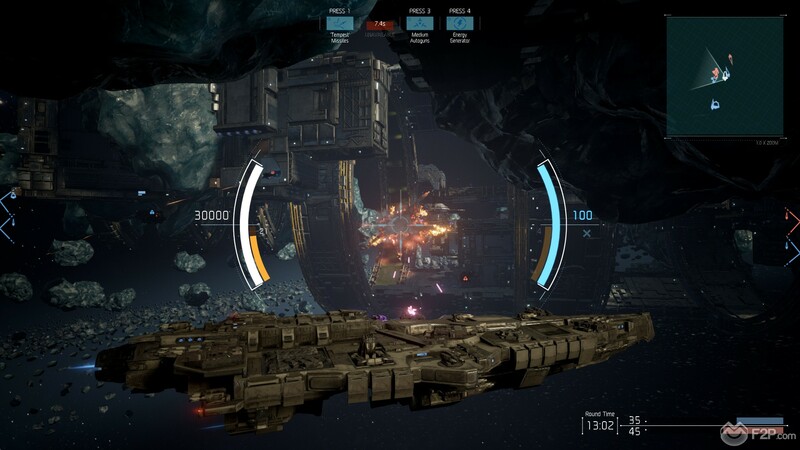 In the game, players battle in out in team based matches taking control of enormous customizable spaceships across a variety of space based and high orbit battle maps. Mathias, thank you for taking the time to talk to us and answer a few of our questions. As you were integral to the initial vision of Dreadnought can you tell us a little bit about how the game first came about and what prompted you to undertake the project? A. You could say the first Dreadnought drawings where made when I was still a child. I was always drawn to planes and spaceships and giant battleships. They are undeniable fascinating pieces of technology…Mix that with the quite militaristic society in East Germany and you draw that all day  . After the Wall came down there was the irresistible formerly forbidden fruit of videogames and Sci-Fi Movies? Seeing Star Wars the first time (1990) was blowing my mind. That carried on until we founded our company 1999 and made our first game YAGER (Pc and Xbox). This game had plenty of giant spaceships in it, firing broadsides, shooting missile salvoes and so on. You can find a lot of Dreadnought in our early project. How did you take the initial idea and make it something solid, where it went from a dream to something tangible that you could get other people to work on with you? A. Usually you must pitch it internally first. Persuade a lot of people and even more important, get them excited. Being able to draw concepts is a big help in this stage if you should describe how awesome those battles shall feel. Then of course tap into all that great fiction out there...Sci-fi books, movies, TV-shows, it´s easy to find a common language fast. If you then can make a business case out of it you can get the developers to make a first “vision video” like the one I showed you in Berlin. To get a contract and the financial fundament for the development we created a fully playable prototype that already proved that the core idea is fun and much more than solid. In the early days what do you feel was the hardest part of the development cycle, what types of challenges did you face that people might not realize or think about? A. For me the hardest is always getting a project “airborne”= financed and into preproduction. Time, money and resources are always a hindrance for any development, what features, mechanics or ideas did you have to cut during the process that haven’t made it into version we have in beta (and might we see them in the future)? A. 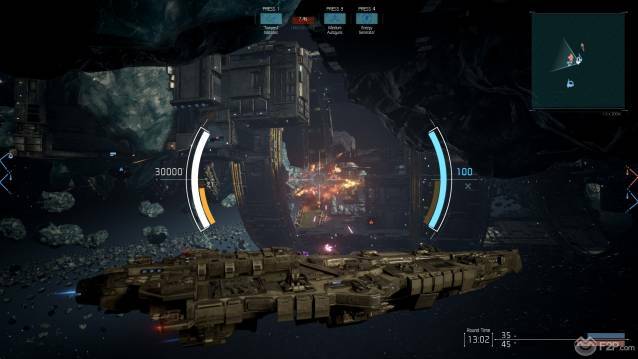 One of the biggest parts we worked on a lot had been more a Single player game using the Dreadnought game mechanics of today. A plot, a story, a Solar system map, characters, cut scenes that made full use of all the lore in our universe. We need to drop a lot of it - for the sake of the core PVP game that was our priority. But it is not said that we don´t bring it back in the future as we think ongoing about new ideas who enrich our Dreadnought with more content. Part of it are also PVE modes, reflecting some of our very first ideas. But it is far too early to promise anything. As the game is in beta, and we know how much you have valued player opinion during development, what’s the biggest change that has been made due to the player’s feedback? A. From the top of my head I would say it´s nerving and buffing some of the ships in the game. That is usually a combination of player feedback and data we receive from all those played sessions. E.g. reducing the effectiveness of the heavy healer, or improving the accuracy of the main guns of the heavy dreadnoughts, among others. Player feedback is one of our main pillars for improving the game anyway. Whether its´s all those bug reports and suggestions for improvements, many players write whole designs and play “the numbers game” very well… It´s like a hive mind that wants their game to improve on a constant basis. Ever improving matchmaking, better balancing on all fronts, and more players in the game once we are truly “Open beta” and the player base is going up. Also: more maps, new ships, and our awesome new “Territory” game mode. PVE Missions are on our radar, offering some gameplay variation and interesting kind of rewards, not to forget the new insights into the lore of our universe. But that is more: “near future”. “This isn’t likely to happen” is nothing I would dare to predict with a game like Dreadnought. It´s a game as a service, driven by the community and our vision, all kind of crazy stuff is possible. Maybe one thing: I strongly doubt that some ships will get smaller and will have less guns and missile launchers on them. The PS4 closed beta has just launched (which players can still sign up for), why did you choose to go with the PS4 as your next platform? Will we see release on Mac and Xbox One (or Steam) in the future? Dreadnought is a beast! Doing such a big and ambitious game needs all the resources and focus we can have. And together with our publisher we are still a young team somehow which needs to learn a lot. So, our decision to focus on PC followed by the PS4 was not a decision against the Xbox One and more a decision for the sake of the product by not adding to many platforms to the same time and running into too many problems in the same time. If everything turn out well soon, let see what we do next then. Is the PS4 Closed Beta going to affect the final release of the PC version? What release date are you looking at? We handle both platforms separate with own plans and goals. We also have focused teams for both platforms working independently from each other as the challenges and opportunities for each platform are entirely different. It is important to keep the vision of the game holistic for both and to ensure that we do our best in both environments. For the PC we are already in a technical beta where everybody can immediately play despite some minor issues. For the PS4 we are now in a closed beta upon invitation, followed by an open beta soon and a commercial launch in late summer. Going forward, what is your main priority insofar as features that you want to bulk out, more ship classes, customization options, maps or game modes? You named everything right already. 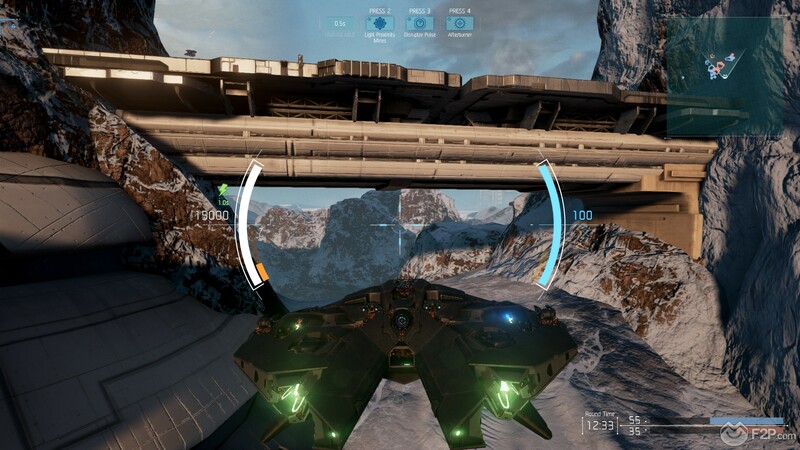 More playable content as maps, modes and ships is something we are ongoing developing. So be assured that there is a nice roadmap ahead full of new stuff which keeps our players entertained. But our current main priorities now are stability, matchmaking, balancing and bug fixing. Thanks once again for answering our questions, is there anything else you want to add in closing? A. We’re looking forward to see more and more captains in our game. Everyone who ever wanted to show Adama how it´s done, or who thinks Picard is to shy with his photon torpedoes should give Dreadnought a go!